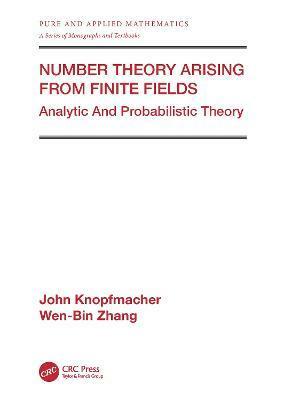 "Number Theory Arising from Finite Fields: Analytic and Probabilistic Theory" offers a discussion of the advances and developments in the field of number theory arising from finite fields. It emphasizes mean-value theorems of multiplicative functions, the theory of additive formulations, and the normal distribution of values from additive functions. The work explores calculations from classical stages to emerging discoveries in alternative abstract prime number theorems. Additive arithmetical semigroups and axiom A#; asymptotic enumeration and more refined estimates; abstract prime number theorems (I); more applications of prime counting; abstract prime number theorems (II); general mean-value theorems; basics of probabilistic number theory for semigroups; survey of some further topics.